Ahhh, today was most definitely a cheat day. I have been waiting for this day all week! I can’t say my cheat days are always on Thursdays, I don’t keep a definite schedule, but whenever I feel like it’s okay to indulge, I will do so. I refuse to live a restrictive lifestyle, that is no way to live. Not to mention is that not livable for the long-term. So indulge, my friends, indulge! My mom came to visit me in the city today and it was pretty exciting because she has never seen my apartment since I’ve moved in. I’m always the one to come home to the suburbs so she has never my place. It’s a dorm but it’s an apartment so it’s nice. She liked it. She also helped with today’s baking extravaganza. It was great. It’s really helpful to have an extra set of hands especially since I don’t have a stand mixer and it’s a drag to fill piping bags with frosting by myself. It can get messy. Oh, she also surprised me by buying me a little piping bag set with three different heads! It was so awesome, the cupcakes look better already! Can’t wait to learn some more piping techniques too. In time, my friends. Recipe for the cake part was borrowed (but tweaked) from Krissy’s Creations. 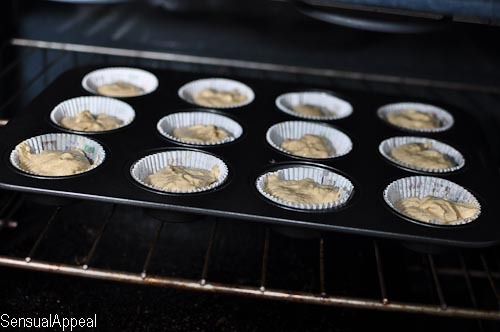 Line a muffin pan with cupcake liners and preheat the oven to 350 degrees F.
In a larger bowl, beat together the butter and brown sugar until light and creamy. Add the eggs, one at a time, until fully incorporated. Mix in the vanilla extract. 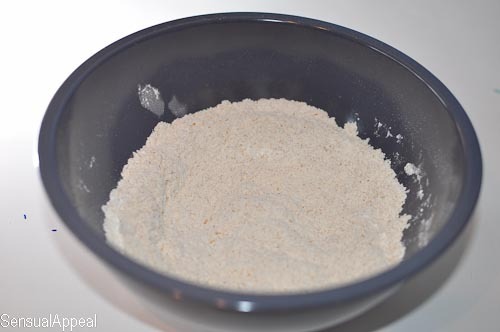 Add the flour mixture, alternatively with the hard cider, beginning and ending with the flour. 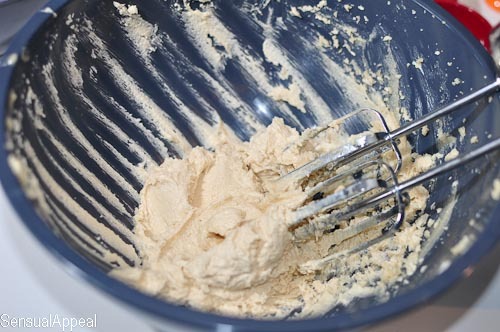 Divide the batter among the prepared baking cups. 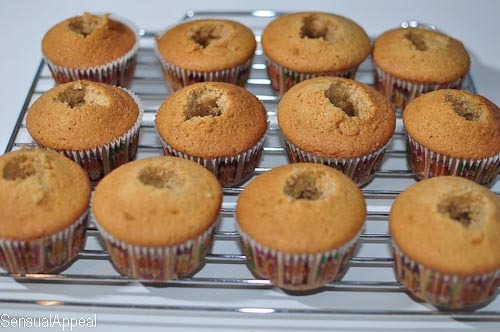 Bake the cupcakes until a toothpick inserted into the center comes out clean, about 20 minutes. 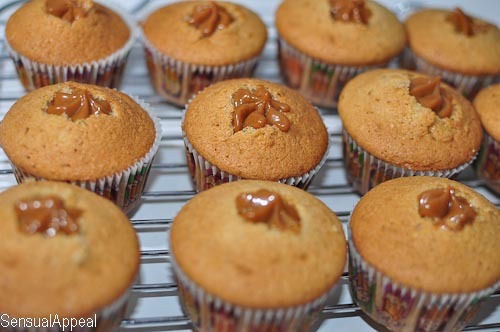 Remove the cupcakes from the oven and allow them to cool in the pan for a couple minutes. 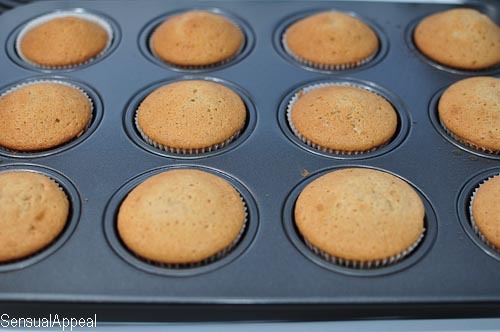 Transfer the cupcakes to a cooling rack to cool completely. Once they are relatively cool, cut small holes inside in the middle with an apple corer or a knife. Go about 3/4 of the way down the cupcake, be careful not to go all the way down. You can take the inside of the cake out with a knife or your finger. Be gentle. 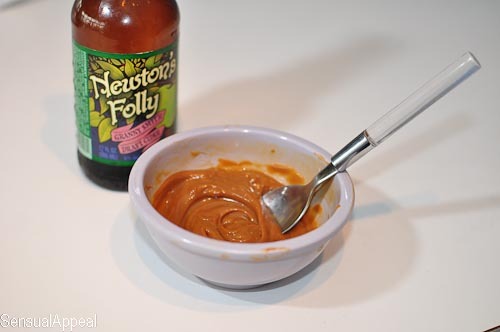 Take the dulce de leche and put it in a small bowl. 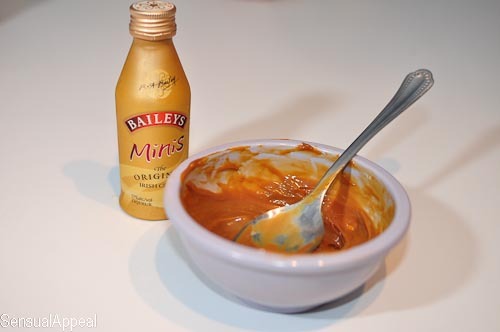 Add the Bailey’s or hard cider to soften it up and make the mixture more creamy. 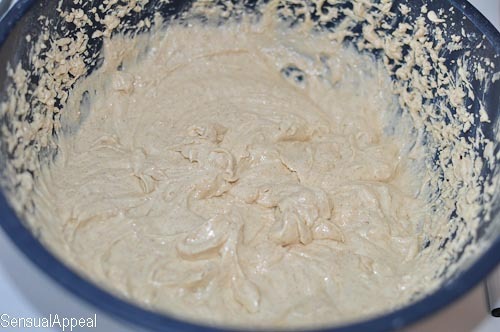 The prepared canned dulce de leche tends to be rather hard and needs to be softened. 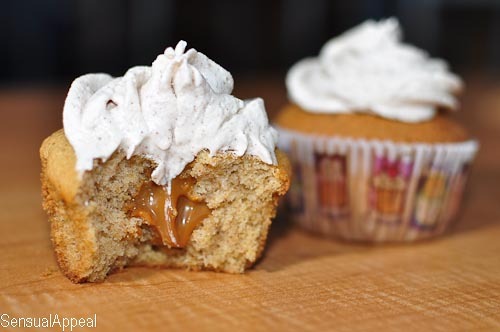 If you made your own dulce de leche and it’s already creamy and soft, you can skip this step. Stir it up with a spoon until it reaches a nice creamy consistency. 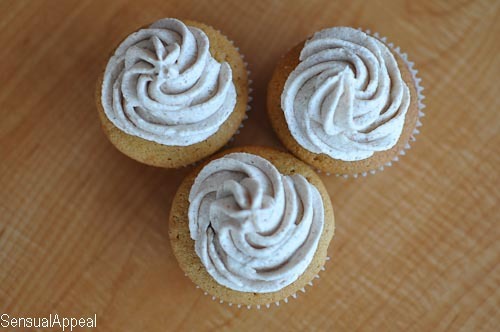 Transfer the mixture to a piping bag and pipe it into each hole of a cupcake to the top. 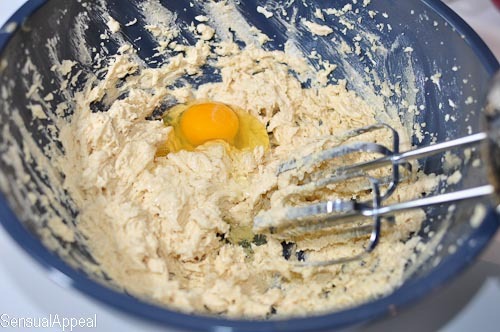 To make the frosting, place butter in a large bowl. Beat on low for 30 seconds. Add the powdered sugar in, about 1/2 (I did it by 1/4) of a cup at a time. Beating on low between each addition. Yo may need less than the ingredients say to reach the perfect consistency because of the gradual mixing of sugar and butter. 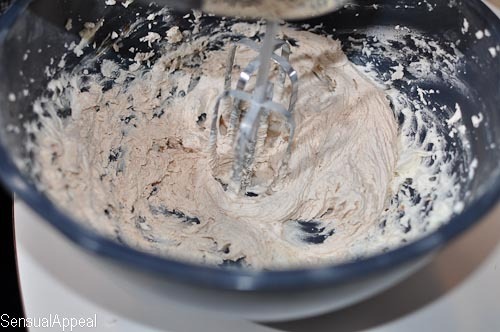 Once it reaches the perfect “just stiff enough” consistency, add the milk, vanilla, and cinnamon. Beat on medium for 1 minute. 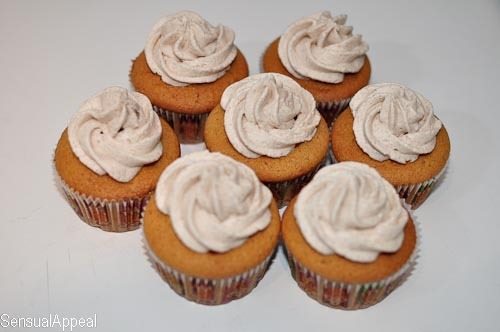 You can add additional powdered sugar if the frosting is too liquidy. If the frosting is too hard, add more milk. Frost the cupcakes as desired. Voila! My roommates were amazed by these and when they got to the middle they both moaned. Yeah, they’re that good. The cupcakes, that is! 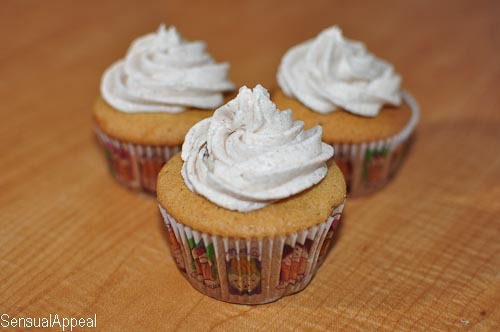 What’s your favorite filling to have in cupcakes? What’s the last boozy dessert you had? They look soooo good. Thanks for sharing – I am definitely going to give these a try. What is ‘hard cider’ please? Hard cider is an alcoholic sparkling cider. A popular brand is Woodchuck. so inviting looking. It’s like you could reach in and eat the cupcakes! I put you on a friend request on flickr. looks amazing! I might give it a go! These looks really promising, but the cake (and the batter, should’ve fixed it then!) tasted terribly of raw flour, which has never happened to me before. I used the right measurements, so I’m not sure what went wrong….Bummer! Hmm that’s strange. It worked fine for me the times I made it. Not sure what could be the culprit, maybe you added too much baking soda/powder? That tends to give it a rather “raw flour” taste. I’m sorry it didn’t work for you. 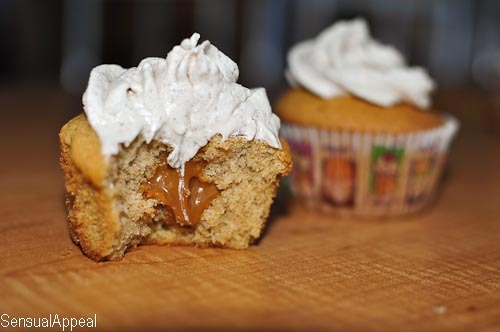 I’ll be recreating these in the near future so stay tuned!